This week, I feel like Martin Lawrence in Bad Boys 2... "this just got real." Of course, I censored that line for the blog... and for Hank. He's moving a lot this week, he's making his presence very known, I don't want to be a bad influence. I'm going to be completely honest... this week I feel like a zombie who wants to eat oranges all day long while cuddling with the dogs on the couch. Not typical zombie behavior I know. I have too many things I'm trying to do before he arrives. Momma's, I would love to hear your advice on how you combatted your to do's before your first little one arrived! Reality is sinking in... it's both exciting and and slightly terrifying. Week 30's photo was inspired by Patti Smith's album "Horses." 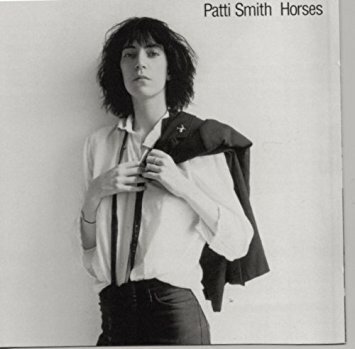 Patti Smith was one of the original influences on punk rock in the mid-70's and brought a new lyrical style heavily influenced by French poetry. My husband has a couple of her albums and really liked this idea, so I had to toss one in the mix for him. I wore my husbands shirt from our wedding for this photo. I even attempted to tuck it into my maternity band pants.... ummm yea... I feel like I look like a marshmallow in this photo. I almost didn't share it but like I said before, this project is all about getting out of the comfort zone, and finishing this crazy series I have planned out. 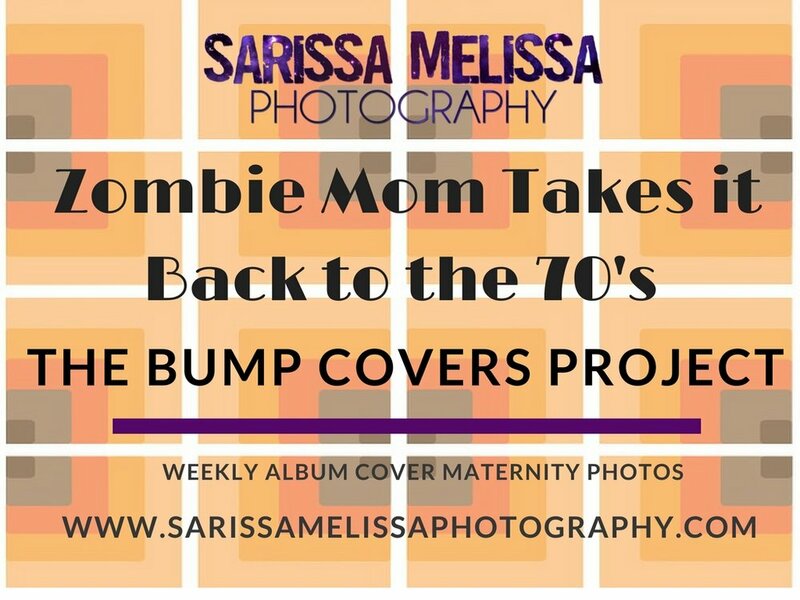 I'm totally making a Greatest Hit's Book with all the cover photos in it when I'm done with the project! Next week's blog post and photo is going to have a sweet twist! The photo will include me and the hubs! AND.... he's going to guest write the blog post! Meanwhile... I will sit on the couch, eating oranges while cuddling the dogs. This weekend, I'm going to a photography convention for 3 days with my fellow members of NNYPP (Northern New York Professional Photographers.) This photo was taken by by colleague, Jennifer McClusckey from McCluskey Photography LLC at our Lighting Workshop mid February. Time for me to start packing for conference. 3 days learning from a group of incredible photographers, hands on workshops, a trade show, and getting in costume for an "Illumination" themed party. You can follow my adventures on Instagram stories!